Economic profit consists of revenue minus implicit (opportunity) and explicit (monetary) costs. Accounting Profit consists of revenue minus explicit costs (monetary cost). Classified loan: Any bank loan that is in danger of default is called a classified loan. Classified loans have unpaid interest and principal outstanding and it is unclear that whether the bank will be able to recoup the loan proceeds from the borrower. Banks usually categorize such loans as adversely classified assets on their books. A classified loan is the term used for any loan that a bank examiner has deemed to be in danger of defaulting. Balance sheet: A balance sheet is a financial statement that summaries a company’s assets, liabilities and shareholder’s equity at a specific point in time. Public goods: A product that one individual can consume without reducing its availability to another individual and from which no one is excluded. Treasury bill: Treasury bills issued by government as an important tool of raising public finance with a maturity of less than one year. Bill of exchange: A bill of exchange is a non-interest bearing written order used primarily in international trade that binds one party to pay a fixed sum of money to another party at a predetermined future date. Cartel: Cartel is process by which an organization is created from a formal agreement between groups of producers of a good or service, to regulate supply in an effort to manipulate price. Monetary Policy: Monetary policy is the actions of a central bank, currency board or other regulatory committee that determine the size and rate of growth of the money supply, which in turn affects interest rates. Monetary policy is maintained through actions such as increasing/decreasing interest rates, changing the amount of money banks need to keep in the vault (bank reserves). Monetary policy involves influencing the supply and demand for money through interest rates and other monetary tools. The target of monetary policy is to achieve low inflation and usually promote economic growth. The main tool of monetary policy is to changing interest rates. For example, if the central bank feels that the economy is growing too quickly and inflation is increasing, then it will increase interest rates to reduce demand in the economy. In some circumstances, central bank may use other tools than just interest rates. For example, in the great recession 2008-2012 central banks in UK and US pursued Quantitative easing. This involves increasing money supply to increase demand. In economic and political science, fiscal policy is the use of government revenue collection (taxation) and expenditure (spending) to influence the economy. The two main instruments of fiscal policy are changes in the level and composition of taxation and government spending in various sectors. Through fiscal policy regulators attempt to improve unemployment rates, control inflation, stabilize business cycle and influence interest rates in an effort to control the economy. (i) Expansionary fiscal policy: Expansionary fiscal policy is an attempt to increase the aggregate demand and will involve higher government spending and lower taxes. This expansionary fiscal policy will lead to a larger budget deficit. (ii) Deflationary fiscal policy: Deflationary fiscal policy is an attempt to reduce aggregate demand and will involve lower spending and higher taxes. This deflationary fiscal policy will help to reduce budget deficit. Monetary policy Vs Fiscal policy: The main difference is that monetary policy uses interest rates set by the central bank whereas fiscal policy involves changing govt. spending and taxes to influence the level of aggregate demand. Similarities between Monetary Policy and fiscal Policy: Both aim at creating a more stable economy characterized by low inflation and positive economic growth. Both monetary and fiscal policy is an attempt to reduce economic fluctuations and smooth out the economic cycle. Credit Policy: A set of principles that a financial organization or business uses in deciding who it will loan money to or give credit (the ability to pay for goods at a later time). Dear Money Policy: Dear money policy is a policy in which a government reduces the amount of money being spent in an economy by raising interest rates, making it more expensive to borrow money. Dear Money; Money which has to be borrowed at a high interest rate, and so restricts expenditure by companies. Clearing House: A clearing house is a financial institution that provides clearing and settlement services for financial derivatives and securities transactions. Derivatives: A derivative is a financial instrument whose value is based on another security. A derivative is a contract between two parties which derive its value / price from an underlying asset. The most common types of derivatives are futures, options, forwards and swaps. It is a financial instrument which derives its value from the underlying assets. Originally, underlying corpus is first created which can consist of one security or a combination of different securities. The value of the underlying asset is bound to change as the value of the underlying assets keep changing continuously. Generally stocks, currency, commodities and interest rates form the underlying asset. Call Money: Money borrowed by a bank that must be repaid on demand. Unlike a term loan, which has a set of maturity and payment schedule, call money does have to follow a fixed schedule. Soft Currency: A currency with a value that fluctuates as a result of the country’s political or economic uncertainty. As a result of this currency’s instability, foreign exchange dealers tend to avoid it. It is also known as weak currency. Hard currency: A currency, usually from a highly industrialized country, that is widely accepted around the world as a form of payment for goods and services. A hard currency is expected to remain relatively stable through a short period of time, and to be highly liquid in the forex market. Money Laundering: Money laundering refers to a financial transaction scheme that aims to conceal the identity, source and destination of obtained money illicitly. The gain or loss on an investment over a specified period, expressed as a percentage increased over the initial investment. Gross National Product: Gross National Product (GNP) is the market value of all the products and services produced in one year by labor and property supplied by the residents of a country. Unlike gross domestic product, which defines production based on the geographic location, GNP defines production based on ownership. Net National Product: Net National Product (NNP) is defined as the total value of the goods and services that a country produces during a period of time minus the depreciation cost of producing those goods and services. NNP is the amount of goods in a given year which can be consumed without reducing the amount which can be consumed in the future. NNP = GNP – Allowance for depreciation on Capital Goods. NNP = Total compensation of employees + Net indirect tax paid on current production + Operating Surplus. Oligopoly: An oligopoly is a situation in which a particular market is controlled by a small group of firms. An oligopoly is much like a monopoly. Monopoly: Monopoly is a market in which there are many buyers but only one seller. A Monopoly is a situation in which a single company or group owns all or nearly all of the market for a given type of product or service. By definition, monopoly is characterized by an absence of competition, which often results in high prices and inferior products. Monopsony: Monopsony is a market in which goods and services are by several sellers but there is only one buyer. It is a market similar to a monopoly except that a large buyer not seller controls a large proportion of the market and derives the prices down. Sometimes it is referred to as the buyer’s monopoly. Perfect Competition: In economic theory, perfect competition describes markets such that no particular participants are large enough to have the market power to set the price of a homogeneous product.  All firms sell an identical product.  All firms are price takers- they cannot control the market price of their product.  All firms have a relatively small market share.  Buyers have complete information about the product being sold and the prices charged by each firms.  The industry is characterized by freedom of entry and exit. Mobile Banking System: Mobile Banking system is a system that allows customer of a financial institution to conduct financial transactions through a mobile device such as mobile phone or PDA. Stagflation: Stagflation is a situation in which prices of goods and services continually increase, many people do not have jobs, and businesses are not very successful. Multinational Company: A corporation that has its facilities and other assets in at least one country other than its home country. Such companies have offices and/or factories in different countries and usually have a centralized head office where they coordinate global management. Non-bank Financial Institution/company (NBFI): Non-banking financial companies are financial institutions that provide banking services but do not hold a banking license. These institutions are not allowed to take deposits from the public. Nonetheless, all operations of these institutions are still covered under banking regulations. Non- bank financial companies do offer all sorts of banking services such as loans and credit facilities, retirement planning, money markets, underwriting and merger activities. Sources of Fund of NBFIs: Issuance of IPO, term deposit, credit facility from banks and other NBFIs, call money, bond issue etc.  Saving and Loan Associations.  Investment and Merchant Banks.  NBFI Act – 2008.  Financial Institution Act – 1993. Government – 3, Joint Venture – 10, Private –20. Total Paid Up Capital Tk. 1 billion. Bank Rate: Bank rate is the rate of interest which a central bank charges on the loans and advances to a commercial bank. Whenever a bank has a shortage of funds, it can typically borrow from the central bank based on the monetary policy of the country. In this case, banks take long-term loan. Where the repo rate is the rate at which the central bank lends short term money to the banks against securities. A reduction in the repo rate will help banks to get money at a cheaper rate. When the repo rate increases, borrowing from the central bank becomes more expensive. It is more applicable when there is a liquidity crunch in the market. The reverse repo rate is the rate at which banks can park surplus funds reserve / central bank, whereas the repo rate is the rate at which the banks borrow from the central bank. It is mostly done when there is surplus liquidity in the market. Fiat Money: Fiat Money is currency which derives its value from government regulation or law. The term derived from the Latin word ‘fiat’ which means ‘Let it be done’. It is a government legal tender. Are our country’s running currencies fiat money? Yes, most modern paper currencies are fiat currencies, have no intrinsic value and are used solely as means of payment. Which is the most popular system of bookkeeping in Accounting? When commercial banks borrow money from central bank in short term needs by selling securities with an agreement to repurchase the same at predetermined rate and date is called repo rate and inversely it is called reverse repo rate. What is the role of IT in banking sector? The use of Information Technology in all spheres of financial and banking sectors is a deep reality. Computerization has brought a revolutionary change in banking industry. The advent of the uses of computer has enormously increased the banking capabilities of the banks and they are able to offer better and wider range of services to their customers. Such as internet banking, mobile banking, ATMs are all the fruits of computerization in banking industry. Corporate Social Responsibility: Business dictionary defines CSR as “A company’s sense of responsibility towards the community and environment (both ecological and social) in which it operates. Corporate Social Responsibility is the continuing commitment by business to contribute to economic development while improving the quality of life of the workforce and their families as well as of the community and society at large. share capital can be maximum up to the authorized capital and obviously not beyond. The amount of capital against which the company has received the payments from the shareholders. Bank: A bank is an institution that provides financial services to customers, businesses and governments. One major type of bank is the commercial bank, which has fewer restrictions on its services than other types of banks. Commercial banks profit by taking deposits from customers, for which they typically pay a relatively low rate of interest, and lending the deposits to borrowers at a high rate of interest. Banks may also generate revenue from services such as asset management, investment sales, and mortgage loan maintenance. In addition to commercial banks, major types of banks include savings banks, trust companies, and central banks. Savings banks are similar to commercial banks but they are geared toward serving individuals rather than businesses. They take deposits primarily from individuals, and their investment activity is limited by the state government to specific non-commercial investments, such as home mortgage loans. Trust companies act as trustees, managing assets that they transfer between two parties according to the wishes of the trustor. Trust services are often offered by the departments of commercial banks. Central banks are usually government –controlled institutions that serve regulatory and monetary management roles. Among other activities, central banks may issue the nation’s currency, help to determine interest rates, collect and disburse government resources, and issue and redeem government debt. the society, in contrast to financial exclusion where those services are not available or affordable. Financial inclusion may be defined as the access and usage of a broad range of affordable, quality financial services and products, in a manner convenient to the financially excluded, unbanked, and under- banked; in an appropriate but simple and dignified manner with the requisite to client protection. Accessibility should be accompanied by usage which should be supported through the financial education clients. The main goal of financial inclusion is to improve the range, quality and availability of financial services and products to the most vulnerable, unserved, under-served and financially excluded. Devaluation and Depreciation: Devaluating a currency is decided by the government issuing the currency, and unlike depreciation, is not the result of non-governmental activities. One reason a country may devaluate its currency is to combat trade imbalances. Devaluation causes a country’s exports to become less expensive, making them more competitive on the global market. This in turn means that imports are more expensive, making domestic consumers less likely to purchase them. While devaluating a currency can seem like an attractive option, it can have negative consequences. By making imports more expensive, it protects domestic industries that may then become less efficient without the pressure of competition. Higher exports relative to imports can also increase aggregate demand, which can lead to inflation. In contrast, depreciation is used to describe a decrease in a currency’s value due to market forces, not government or central bank policy actions. What is Direct Deposit (DD)? Direct deposit is a banking term that describes a deposit of money straight from the source into a bank account, by electronic fund transfer, or other means where the payment is initiated by the payer not the payee. The money is transferred directly to the recipient bank through a payment system. What is payment Order/ Pay Order? Payment Order is an international banking term that refers to a directive to a bank or other financial institution from a bank account holder instructing the bank to make a payment or series of payment to a thirds party. It can be defined as, “Instructions to transfer funds sent via paper and/or electronic means”. What is Automated Clearing House? A computer based clearing and settlement facility established to process the exchange of electronic transactions between participating depository institutions. Such electronic transactions take place of paper cheeks. An initial, partial payment made at the time of purchase to permit the buyer to take delivery of the purchase. A partial payment made for the evidence of good faith that the buyer will complete the purchase transaction at the time the contract is signed. What is stop payment order? An order by a customer instructing a financial institution to refuse payment when presented with a specific draft or cheque written by the customer. Stop payment order cannot be performed on cheque card transactions. What are the purposes of Credit Risk Management (CRM)? The purposes of CRM are to provide directional guidelines to the banking sector that will improve the risk management culture, establish minimum standards for segregation of duties and responsibilities and assist on the ongoing improvement of the banking sector in Bangladesh. What is meant by Credit and Liquidity risk? Credit Risk – failure to meet the terms of a credit or loan contract. Liquidity risk –The variation in net income and market value of bank equity caused by a bank’s difficulty in obtaining immediately available funds, either by borrowing or selling assets. Money earned by illegal way is called black money. Why the Economic Recession of the World has not impact badly on our economy? The international business of Bangladesh is confined to some product, for this reason our economy has not a sound linked with world economy. That is why, we have not suffered much for economic recession. Besides our remittance inflow is still now significant. What do you mean by LDC country? The countries whose eighty percent of the population depends on agriculture, more than half of the population are unemployed, most of the people are victim of malnutrition, illiteracy rate is high, and then these countries are called the Least Developed Countries. Now 31 countries are in this category. It stands for Weighted Average Cost of Capital, and this is a calculation of an organization’s capital that is weighted proportionately. It includes every sources of capital, and takes into account factors like depreciation, tax rates, debt, and equity. Working capital is equal to current assets minus current liabilities. It informs a user about how much money is being used for business operations, and how much more will be necessary throughout the year. What is a Discounted Cash Flow (DCF)? Demand: The ability and willingness of a consumer to buy specific quantities of s good at alternative prices in a given period of time. Consumer surplus: The difference between actual price and the price at which the consumer willing to pay. Complimentary goods: Those goods which are wanted together for the satisfaction of a want that is pen and Ink for writing. Substitute goods: Those goods which are capable of satisfaction the same want. Cost: The sacrifice something to receive benefit. Market: A place where a large number of buyer and seller available to buy and sale their goods. Money cost: When production cost expressed by money. Real cost: Pains and sacrifices of labor for produce any product. GNP (real output): Gross national product measures the current market value of all final goods and services produced in an economy during one year period. Price level (GNP deflator): GNP deflator measures the change in the price of all goods and services by the economy. The interest rate: Interest rate is the price that is paid to borrow money for a stated period of time. The exchange rate: The exchange rate refers to the rate at which different currencies are traded for each other. Balance of payment: The balance of payment is a systematic record of economic transaction of the residents of a country with the rest of the world during a given period of time. Consumption: Consumption is the direct and final use of the goods and services to satisfy the free human beings. Saving: The part of income which do not expense at present; gathered for future that is saving. National income: National income of a country can be defined as the total market value of all final goods and services produced in the economy in a year. Final goods: Final goods are those goods which are purchased for only final use not for further processing or for resale. Intermediate goods: Intermediate goods are those goods which are purchased for further processing or for resale. NNP (net national product): The market value of all final goods and services after providing depreciation. GDP (gross domestic product): Gross domestic product may be defined as the total money value of all goods and services produced within the geographical boundary of a country by the normal residents as well as non -resident. PI (personal income): Personal income is the sum of all incomes actually received by all individuals or households during a given year. PDI (personal disposal income): That part of income; men spent only for consumption. Nominal G.N.P: Nominal G.N.P represents the total money value of all final goods and services produced by the factors owned by a nation, in a given year, where the values are in terms of all market price of each year. Real G.N.P: Real GNP means the value of output of a given period at constant price. If we defined nominal G.N.P by G.N.P deflator. Monetary policy: Monetary policy is the policy which is used to control money supply and in the same causes credit conditions for the purpose of achieving macro economics goal. Inflation: Inflation is a state in which the value of money is falling i.e. prices are rising. Demand pull inflation: When the aggregate demand is increase and pulls price up, then inflation is occurred, this inflation is called demand pull inflation. Cost push inflation: When the aggregate supply of money increase and pushes price up, it is called cost push inflation. Open market operation: When central bank sell and purchase the government security, share, stock bond etc and well reputed private concerns in order to control credit, is called open market operation. Changing the bank rate: The important instrument to control monetary policy is changing bank rate. Under this method central bank tries to limit the supply of money in a reasonable situation by increase and decrease bank rates. Changing of cash reserve: The central bank changing the cash reserve ratio to control the monetary policy. Under this method, commercial bank has to reserve a portion of deposit money to the central bank. So at the time of inflation central bank increase the reserve rates and at the time of deflation central bank decrease the reserve rates. Under taking selecting credit control: Under this method central bank order the commercial bank to issue loan productive and necessary sectors and avoid unproductive and unnecessary sectors. The current account is an important indicator about an economy’s health. It is defined as the sum of the balance of trade (goods and services exports less imports), net income from abroad and net current transfers. Balance of payment: The balance of payment is a system of accounts designed to show how a nation finances international activities and what role the country plays in the economy. Balance of trade: Balance of trade refers to the difference in value of imports and exports of commodities only i.e. visible items only. Equilibrium balance of payment: Equilibrium is that state of the balance of payment over the relevant time period which makes it possible to sustain an open economy without severe unemployment on a continuing basis. BOP records transactions relating to both goods and services. records transactions of capital nature. iii. BOT is a part of Current account of BOP, while BOP includes balance of trade, balance of services, balance of unilateral transfers and balance of capital transactions. BOT may favorable or unfavorable, but BOP always remains in balance. BOT is not true indicator of economic performance of an economy, whereas BOP is the true indicator of economic performance of an economy. Foreign exchange: Foreign exchange means the rate of exchange at which one currency is changed against another. Foreign exchange rate: Foreign exchange rate is the price of a country’s currency in term of another countries currency. Exchange control: When the government controls all the foreign exchange transaction then it is called the exchange control. In this system no one cannot purchase or sell the foreign currency without the permission of the government. A gold standard is a monetary system in which a country’s government allows its currency unit to be freely converted into fixed amounts of gold and vice versa. The exchange rate under the gold standard monetary system is determined by the economic difference for an ounce of gold between two countries. When the two countries concerned are on gold standard as already explained, their currency units are either gold coins or are convertible into gold at fixed rates. Purchasing power parity theory: The purchasing power parity theory was propounded by Professor Gustav Cassel of Sweden. According to this theory rate of exchange between two countries depends upon the relative purchasing powers of their respective currencies. Balance of payments: The explanation of foreign exchange rate through demand and supply is also called the balance of payment theory of foreign exchange. The demand for foreign exchange arises from the debit items in the balance of payments, whereas the supply of foreign exchange arises from credit items. What is deferred tax asset? A deferred tax asset is created when a business pays more tax to the IRS than is reported on its income statement. They can be created from net operating losses and differences in revenue recognition. Money market is a market where only short-term securities, which have maturity period one year, are traded. Such as bond, treasury bills etc. On the other hand, capital market is a market long-term securities are traded. Such as shares, debentures, etc. How many capital markets are there in Bangladesh? Who controls these stock exchanges? BSEC- Bangladesh Securities and Exchange Commission. What is the relationship between money market and capital market? There exist inverse relationship between money market and capital market. If capital market falls people will buy more treasury bills and vice-versa. What is M1? It is narrow money. It includes currency, traveler’s checks, demand deposit, and other checkable deposit. What is M2? It is broad money. It includes M1, small denomination, time deposit and repurchase agreement, saving deposit and money market deposit accounts, money market mutual fund shares. What is the percentage of deposit that a bank can in capital market? It is 10% in Bangladesh now. This theory explains why people want to hold money. Keynes postulated that their motives behind the demand for money, the transaction motive, it is the demand for money for regular transaction, the precautionary motive, the demand for money for unseen or sudden necessary, and the speculative motive, the demand for money that is sensitive to the interest rate. What is opportunity cost for holding money? It is forgone interest rate. Originally it means the existence of a perfect or exact linear relationship among some or all explanatory variables of a regression model. But now multicollinearity is also used to mean less than perfect linear relationship among money explanatory variables. What is autocorrelation? Autocorrelation is the correlation between members of series of observation ordered in time or space. Account reconciliation is a process with help of which the account balance can be easily verified. Account reconciliation is usually done at the end of a week, month, and financial year or at the end of any financial period. What is Letter of Credit? A document issued by a bank in favor of the seller or exporter on behalf of the buyer or importer stating its commitment to pay the price of the goods. When people go to their bank to withdraw money due to fear that their deposits are not secure. Internal resource division. iii. Economic division. Bank and financial institution division. Merchant Banking: A merchant bank is a financial institution that provides capital to companies in the form of share ownership instead of loans. It is the combination of banking and consultancy service. Brokerage Firm: Brokerage firm is a financial intermediary institution that facilitates the buying and selling of financial securities between a buyer and a seller. Strategy: A method or plan chosen to bring about a desired future such as achievement of a goal or solution of a problem. Letter of Credit: A letter of credit is a document from a bank guaranteeing that a seller will receive payment in full as long as certain delivery conditions have been met. In the event that the buyer is unable to make payment on the purchase, the bank will cover the outstanding amount. A written document to pay, by a buyer’s or importer’s bank (called the issuing bank) to the seller’s or exporter’s bank (called the accepting bank, negotiating bank, or paying bank). A letter of credit guarantees payment of a specified sum in a specified currency, provided the seller meets precisely defined conditions and submits the prescribed documents within a fixed time frame. Two letters of credit used together to help a seller finance the purchase of equipment or services from a subcontractor. With the original L/C from the buyer’s bank in place, the seller goes to his bank and has a second L/C issued, with the subcontractor as beneficiary. Arrangement in which one irrecoverable letter of credit serves as the collateral for another, the advising bank of the first letter of credit becomes the issuing bank of the second letter of credit. A new letter of credit opened in favor of another beneficiary on the basis of an already existing, non-transferable, letter of credit. The central bank reserves a certain amount of gold equivalent to the value of the money. This is called currency policy. Purpose of Credit Risk Management: The purpose of credit risk management is to provide directional guidelines to the banking sector that will improve the risk management culture, establish minimum standard for segregation of duties and responsibilities, and assist on the ongoing improvement of the banking sector in Bangladesh. faith and credit of the member countries governments. Fixed deposit receipts account offers the customers the opportunity to invest a fixed amount for a fixed period at a fixed rate of interest. Basel II is an international business standard that requires financial institutions to maintain enough cash reserves to cover risks incurred by operations. The Basel accords are a series of recommendations on banking laws and regulations issued by the Basel Committee on Banking Supervision. According to Basel II the minimum paid up capital for a bank should be 400 core. The risk weighted capital should be 10%. In this way Basel II reduces the risk exposure of banks. Inactive Account: A bank or brokerage account in which there have not been any transactions for an extended period of time. In some extreme cases, the account’s assets may be turned over to the state. Dormant Account: In general, a low-balance savings account which has shown no activity (deposit and/or withdrawals) over a long period, other than posting of the interest and/or services. Statute of limitations usually does not apply to dormant accounts, and funds can be claimed by the owner or beneficiary at any time. Dormant Vs Inactive Account: Dormant accounts are those accounts in which there are transactions in the recent history, while inactive accounts are those accounts in which transactions are being made for long time. Smart work Vs hard work: Hard work means doing things without using brain and takes long time and more physical stress to complete the job. Smart work means doing things by using brain in a short span of time with less effort. Mutual Fund: Mutual fund is a type of professionally managed investment fund that pools money from many investors to purchase securities. টাকশাল: টাকা ছাপাননার কারখানা । এটা গাজীপনর অবসসত । এটা হনলা security printing corporation. যতটক সর সরজার আনছ ততটক মুদা ছাপাননা হয়. The central bank is the apex monetary institution, which has been specially empowered to exercise control over the banking system of the country. 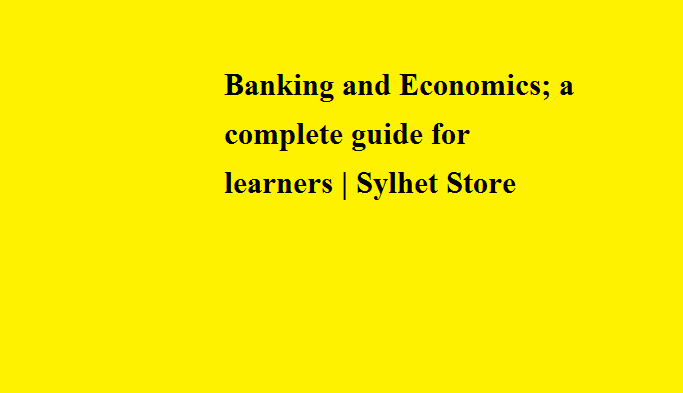 The commercial bank, on the contrary, is a constituent unit of the banking system. The central bank does not operate with a profit motive. The primary aim of the central bank is to achieve the objectives of the economic policy of the government and maximize the public welfare through monetary measures. The commercial banks, on the other hand, have profit earning as their primary objective. iii. The central bank is generally a state owned institution, while the commercial banks are normally privately owned institutions. The central bank does not deal directly with the public. The commercial banks, on the contrary, directly deal with the public. The central bank has the monopoly of note-issue, whereas the commercial banks do not enjoy such right. The central bank is the custodian of the foreign exchange reserves of the country. The commercial banks are only the dealers in foreign exchange. vii. The central bank acts as the banker to the government, the commercial banks act as bankers to the general public. viii. The central bank acts the bankers’ bank and as the clearing house for the commercial banks. But, the commercial banks perform such no function. Formulation and implementation of monetary and credit policies. ii. Regulation and supervision of banks and non-bank financial institutions, promotion and development of domestic financial markets. Management of the country’s international reserve. Acting as a banker to the government. The main sources of central bank income arise from the administration of delegated government monopoly rights in the issue of circulating currency, monetary policy and financial system stability. Each of these functions offers the central bank the opportunity to generate income through the creation of zero or low cost liabilities, the proceeds of which can be invested in interest generating assets. The second major source of earnings is interest receipts from the discharge of central bank functions, including monetary policy operations, management of foreign exchange reserves and the provision of liquidity to the financial and payment systems. Acting as government agent, or principal, in relations with international financial institutions, the central bank may pick up a range of discounted liabilities that it is able to reinvest at market rates. Exercise of SDR repurchase rights is an example of such arrangements, where the bank invests these below market SDR liabilities in market remunerated foreign exchange assets. The final source of central bank revenue lies in fees and miscellaneous income derived from other activities such as bank supervision, collectors’ currency and payment and banking services. For most central banks these are immaterial, particularly once netted against the expenses of providing the services and so will not feature in the discussion. Capital Adequacy Ratio (CAR): Capital Adequacy Ratio (CAR), also known as Capital to Risk (Weighted) Asset Ratio (CARR), is the ratio of a bank’s capital its risk. Capital adequacy ratio is a specialized ratio used by banks to determine the adequacy of their capital keeping in view of their risk exposures. Now CRR is 10% of total risk weighted assets or tk. 400 core whichever is higher. Statutory Liquidity Ratio (SLR): SLR is used by bankers and indicates the minimum percentage of deposits that the bank has to maintain in form of gold, cash or other approved securities. The SLR is commonly used to control inflation and fuel growth, by increasing or decreasing it. Bond + Treasury bill and Treasury bond. Now SLR is 13% for conventional banks and 5.5% for Islamic shariah based banks. Cash Reserve Ratio (CRR): Cash reserve ratio is the amounts of funds that the firms have to keep with the central bank. Banks in Bangladesh are required to hold a certain proportion of their deposits in the form of cash. Now CRR is 6.5% fortnightly basis and 6% daily basis of net demand and time deposits. SLR includes cash and marketable securities but CRR includes only cash that is why CRR is less than SLR. CRR has to be maintained in cash while SLR can be maintained either in cash or in assets such as Treasury bill, bond, gold, prize bond, etc. Bankers Acceptance: A bill of exchange will be drawn or accepted by a bank to pay specific bills for the customer when the bill becomes due. Depending on the bank’s creditworthiness, the acceptance becomes a financial instrument that can be discounted for immediate payment. Bank Draft: A check drawn by one bank against funds deposited to its account in another bank. Bank Guarantee: Bank guarantee is given by a bank on behalf of a customer to pay guaranteed party a sum of money if the customer cannot or will not pay. Bank Release: A document issued by a bank, after it has been paid or given an acceptance, giving authority to a person to take delivery of goods. banker’s draft is considered cash and cannot be returned unpaid.  A receipt for goods taken in charge.  Evidence of the carriage contract.  A document of title – if appropriately drawn up, can allow bearer to claim the goods. Blank Endorsement: The method whereby a bill of lading is made into a freely negotiable document of title. International Bank for Reconstruction and Development (IBRD)- 188 members. International Development Association (IDA) – 172 members. iii. International Finance Corporation (IFC). The IBRD aims to reduce poverty in middle income and creditworthy poorer countries, while IDA focuses exclusively on the world’s poorest countries. The World Bank group has two ambitious goals: ending extreme poverty and boosting shared prosperity. International Monetary Fund: The IMF is an international organization that was initiated in 1944 at the Breton Woods Conference and formally created in 1945by 29 member countries and came in operation in March 1, 1947. The IMF describes itself as “an organization of 188 countries, working to foster global monetary cooperation, secure financial stability, facilitate international trade, promote high employment and sustainable economic growth, and reduce poverty around the world”. 22 August 1966 which is headquartered in Metro Manila, Philippines, to facilitate economic development in Asia. The ADB was modeled closely on the World Bank, and has a similar weighted voting system where votes are distributed in proportion with members’ capital subscriptions. Islamic Development Bank (IDB): The Islamic Development Bank is a multilateral development financing institution for the development of its member countries located Jeddah, Saudi Arabia. It was founded in 1973 by the finance ministers at the first Organization of Islamic Conference (now called the Organization of Islamic Cooperation) with the support of the king of Saudi Arabia at the time (Faisal), and began its activities on 20 October 1975. Headquarter – Jeddah, Saudi Arabia. Membership – 56 Countries. President – Ahmad Mohamed Ali al-Madani. Asian Infrastructure Investment Bank (AIIB): Asian Infrastructure Investment Bank (AIIB) is proposed international Financial Institution which is focused on supporting infrastructure construction in the Asia-Pacific region. The bank was proposed as an initiative by the government of china and supported by 37 regional and 20 non-regional members. AIIB is regarded as a rival for the IMF, WB, and ADB which the AIIB says are dominated by developed countries like the USA and Japan. US $100billion is its starting capital. Headquarters – Beijing, China. Region Served- Asia, including Oceania. Membership – 57 countries. Secretary General – Jin Liqun (china). New Development Bank (NDB): The New development Bank (NDB) formerly referred to as the BRICS Development Bank, is a multilateral development bank operated by the BRICS states (Brazil, Russia, India, China, and South Africa) as an alternative to the existing American and European – dominated World Bank and International Monetary Fund. The goal of the bank is to mobilize resources for infrastructure and sustainable development projects in BRICS and other emerging economies and developing countries. Formation- July, 2014 activates July, 2015. President – K.V. Kamath (India). Option: An option is a contract which gives the buyer the right, but not the obligation, to buy or sell an underlying asset or instrument at a specified strike price on or before a specified date, depending on the form of the option. Call option: An option to buy assts at an agreed price on or before a particular date. A call option is an option contract in which the holder (buyer) has the right (but not the obligation) to buy a specified quantity of a security at a specified price within a fixed period of time. Put option: A put option is a contract which gives the buyer the right, but not the obligation, to sell an underlying asset or instrument at a specified strike price on or before a specified date, depending on the form of the option. Credit Rating: A credit rating is an evaluation of the creditworthiness of a debtor, especially a business (company) or a government, but not individual consumers. The evaluation is made by a credit rating agency of the debtor’s ability to pay back the debt and the likelihood of default. Personal Account: The elements or accounts which represent persons and organizations. Real Account: A real account is a general ledger account that does not close at the end of the accounting year. Asset account. The elements or accounts which represent assets. Nominal Account: The elements or accounts which represent expenses, losses, incomes, gains. Types of Bank: A bank is a licensed and regulated financial institution that lends money, accepts deposits and carries out other financial transactions for its clients. Retail Banking: Retail banks are those banks that take deposits from individuals, provide saving facilities and pay interest on these accounts. They also lend money to individuals, in the form of loans and overdrafts, and charge interest on the money they lend. They provide a range of other financial services. Investment Banking: An investment bank is a financial institution that assists individuals, corporations, and governments in raising financial capital by underwriting or acting as the client’s agent in the issuance of securities. Merchant Banking: A merchant bank is a financial institution that provides capital to companies in the form of share ownership instead of loans. A merchant bank also provides advisory on corporate matters to the firms in which they invest. Unit Banking: Unit banking means a system of banking under which banking services are provided by a single banking organization. Branch banking Vs Unit banking: Branch bank is a bank connected to one or more other banks in an area or outside of it and which has two or more branches in operation, whereas unit bank is a single, usually small bank that provides financial services to its local community. Does not have other bank branches elsewhere. Lead Banking: A bank that oversees the arrangement of a loan syndication. The lead bank is paid an additional fee for this service, which involves recruiting the members and negotiating the financing terms. Specialized Banks: Specialized banks were established for specific objectives like agriculture or industrial development. These banks are also fully or majorly owned by the government of Bangladesh. Corporate Management: The process of leading, administering and directing a company is called corporate management. Good governance: Good governance is an indeterminate term used to describe how public institutions conduct public affairs and manage public resources. Branding: Branding is the process involved in creating a unique name and image for a product in the consumers’ mind, mainly through advertising campaigns with a consistent theme. Earnings per Share (EPS): Earnings per share is the monetary value of earnings per outstanding share of common stock for a company. National income: The total net value of all goods and services produced within a nation over a specified period of time, representing the sum of wages, profits, rents, interest, and pension payments to residents of the nation. Consumer surplus: Consumer surplus is the difference between the total amount that consumers are willing and able to pay for a good or service and the total amount that they actually do pay. Common Market: A group of countries imposing few or no duties on trade with one another and a common tariff on trade with other countries. What is FDI? An investment made by a company or entity based in one country, into a company or entity based in another country. Canada – Joseph J. Oliver. Currency Vs Note: A currency refers to money in any form when in actual use or circulation as a medium of exchange, especially circulating banknotes and coins. A more meaningful definition is that a currency is a system of money in common use, especially in a nation. Bank note: Paper currency of a country issued by its central bank. Stale check: Stale check is a check that is presented to be cashed or deposited at a bank six months or more after the date it was written. A post dated check is a check on which the issuer has stated a date later than the current date. The Drawer, one of the parties involved with a check, is the individual who has permission to release money from the account from which the check is drawn. The payee, the second party, is the person or company that the check is made payable to; the name is found on the “pay to the order off” line. Only the payee has the ability to cash or negotiate the check. The drawee or payee bank is the third party connected with the check. This is the financial institution that pays the amount of the check. Arbitration, a form of alternative dispute resolution (ADR), is a technique for the resolution of disputes outside the courts. The submission of disputes to an unbiased third person designated by the parties to the controversy, who agree in advance to comply with the award- a decision to be issued after a hearing at which both parties have an opportunity to be heard. Speculation:Speculation is the practice of engaging in risky financial transactions in an attempt to profit from fluctuations in the market value of a tradable good such as financial instrument, rather than attempting to profit from the underlying financial attributes embodied in the instrument such as capital gains, interest, or dividends. Garnishee order:A legal procedure by which a creditor can collect what a debtor owes by reaching the debtors property when it is in the hands of someone other than the debtor. Garnishment is a drastic measure for collecting a debt. A court order of garnishment allows a creditor to take the property of a debtor when the debtor does not possess the property. Swap: A swap is a derivative in which two counter parties exchange cash flows of one party’s financial instrument for those of the other party’s financial instrument. A swap is an agreement between two parties to exchange sequences of cash flows for a set period of time.